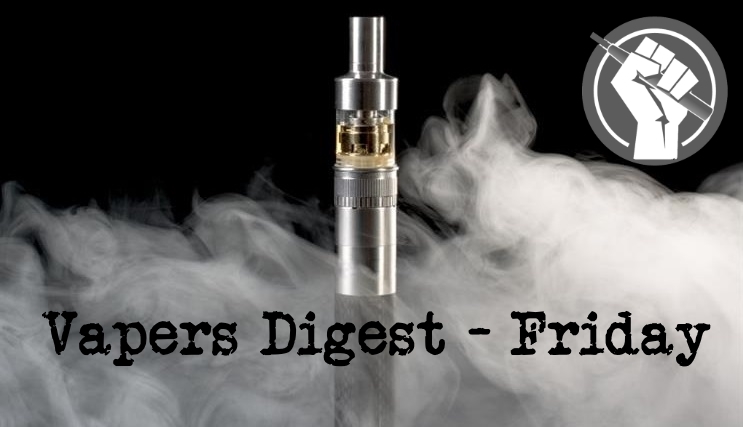 E‐cigarettes are the most popular aid to quitting smoking in the UK. There is support for vaping as a harm reduction approach and an alternative to tobacco smoking from UK Medical and Public Health bodies. Although many smokers manage to quit, evidence (primarily predating the widespread use of e‐cigarettes) suggests that many successful quitters relapse over time. Most vapers use e‐cigarettes for smoking cessation or reduction, but we still have little understanding of how vapers use e‐cigarettes to avoid long‐term smoking relapse. The theme for GFN 2019 is ‘It’s time to talk about nicotine’. The conference has two main tracks: Science and Policy, Advocacy and Practice. The programme includes plenary sessions, symposia, panel discussions, poster presentations, and satellite sessions. See the outline programme here. Cigarette company Altria is considering buying a controlling stake in JUUL Labs, it was revealed this week. The move, believed to be sparked by the FDA’s attacks on vaping, would give Altria a significant stake in the vaping industry for the first time. Meanwhile US senators have condemned the FDA’s approach. Australian psychiatrists have also broken ranks, calling for the country to end its ban on nicotine e-liquids. Edinburgh-based Vaporized was 24th in the Sunday Times Virgin Atlantic Top 100, which ranks UK companies by sales growth. It achieved average annual growth of 97% over the last three years, reaching sales of £22.7m last year. Vaporized was established in 2012 with a single store in Leith and now has more than 110 stores throughout the UK. Luftnummer – Krankenkasse macht als gäbe es eine “Werbeepidemie” zu E-Dampfprodukte. The Royal Australian and New Zealand College of Psychiatrists (RANZCP) has issued a new position statement on the use of vaping as a tobacco harm reduction tool. The organisation adds to the pressure on the Australian government to act responsibly and end the ludicrous vape-related bans being implement across the nation. Big Tobacco About to Buy a Piece of JUUL? Last week, the New Zealand Government announced that it would appropriately regulate the vaping market. They did this because they realise that vapes and e-cigarettes, are a less harmful alternative to cigarettes while being a credible quit-smoking aid. Why? because unlike traditional cigarette, these products do not burn tobacco and create smoke. They are smoke-free. This has nothing to do with Oxfam. Indeed DFID is also innocent in this. No – this scandal is brought to you by the Department of Health which is the dominant funder of the world’s most counterproductive anti-smoking policy. Five years ago DH was forced by the EU to allow vaping in the UK. However the department’s true instincts are being unleashed on the rest of the world through its funding of the World Health Organization. IN THE MOVIE Tourist, Johnny Depp, who plays Frank Tupelo, an American in Venice who lands in mysterious circumstances after meeting a fascinating woman (Angelina Jolie), puffs on a vaporised cigarette, also called electronic or non-combustible cigarette, that is said to be 95 per cent less harmful than its burning counterpart. Tobacco products are banned in Kentucky jails, and some jail officials find this makes their jobs more difficult, WYMT reports. Laurel County Jailer Jamie Mosley came up with an innovative solution. He invented the Crossbar – an e-cigarette designed to be safe for inmates. HBO’s VICE News interviewed Mosley about his creation. “I was just trying to solve a problem within my own facility,” said Mosley.